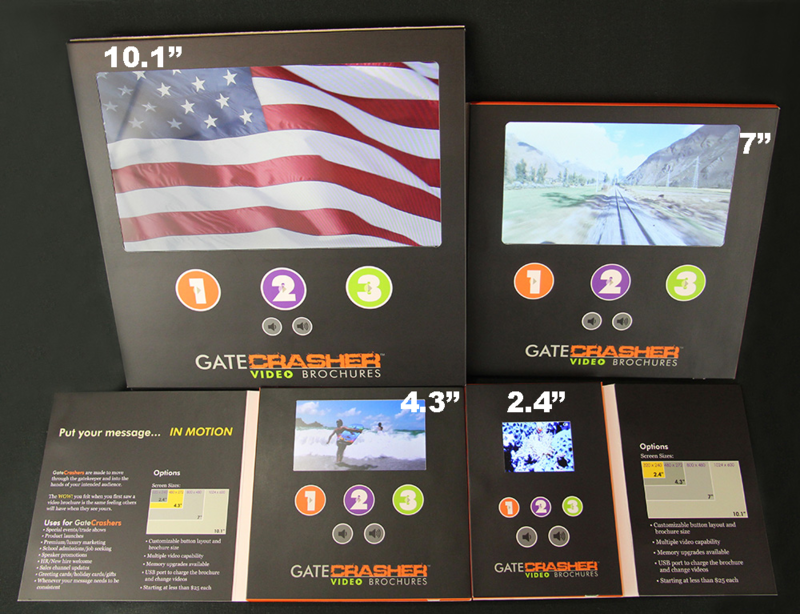 GateCrasher video brochures are a way to put your message into motion. 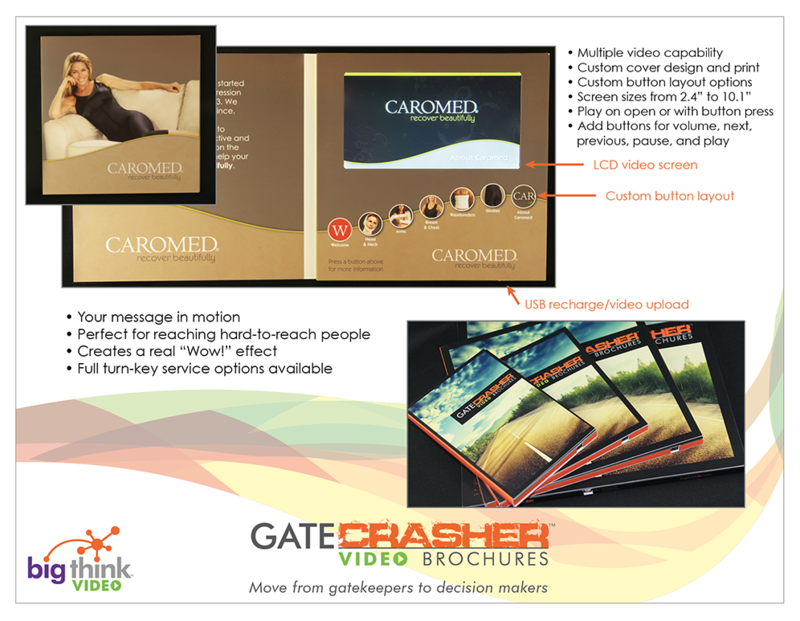 When you need to make a lasting impression, GateCrasher video brochures can get through gatekeepers and to the decision makers. 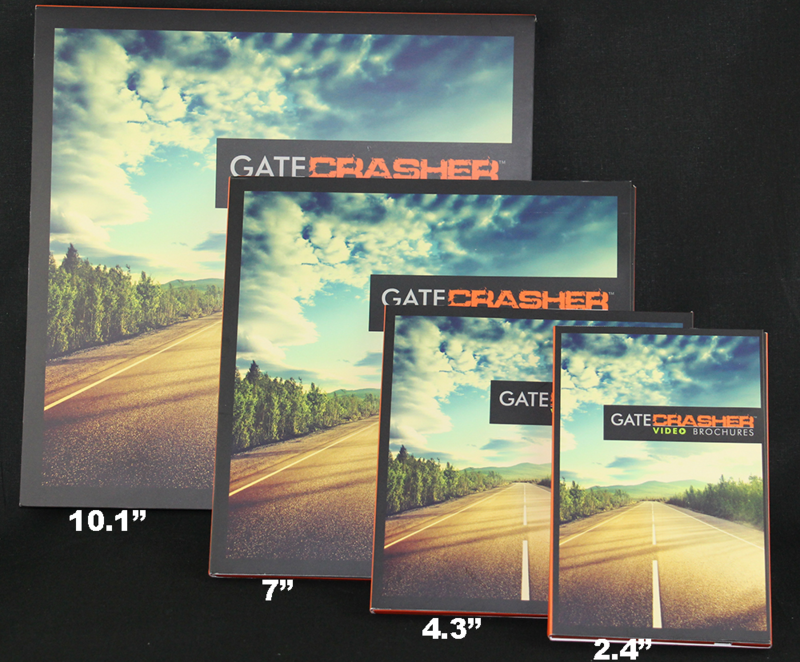 GateCrashers start as low as $19 retail with no frills; shipping and setup fees not included. 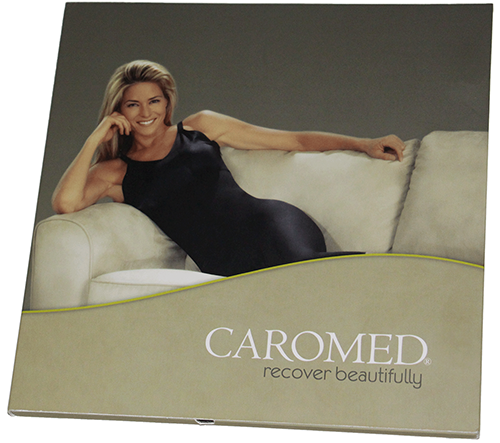 We look forward to working with you on your next promotion. 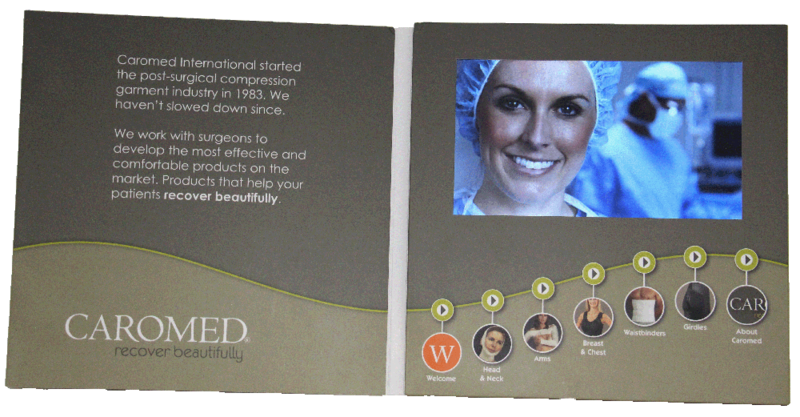 Our revenue growth architects are ready to help you put your message in motion.